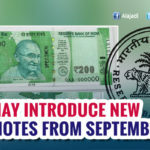 The RESERVE Bank of India on Monday more than doubled the daily withdrawal limit from automated teller machines (ATMs) to Rs 10,000 but retained the weekly ceiling at Rs 24,000 with the supply of more five hundred notes. 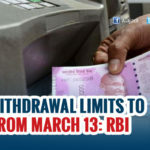 However, with demonetization exercise reportedly hitting close to 70 per cent of businesses in manufacturing hubs, including Mumbai and Pune, the RBI has increased the limit on withdrawal from current accounts from the existing limit of Rs 50,000 per week to Rs 1,00,000 per week. 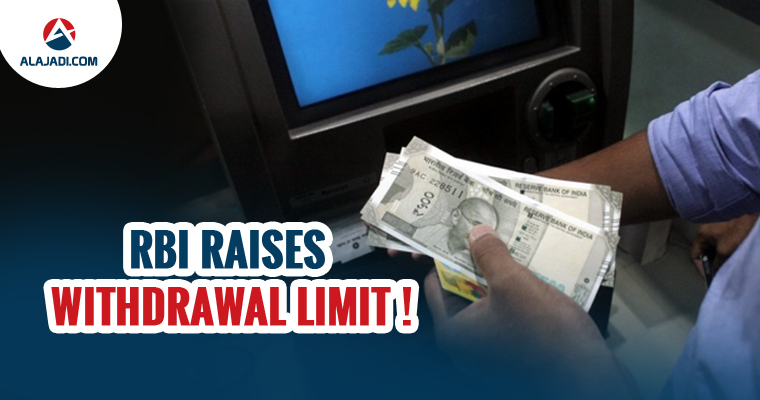 The limit on withdrawals from ATMs has been enhanced from the current limit of Rs 4,500 to Rs 10,000 per day per card. It will be operative within the existing overall weekly limit of Rs 24,000. The banking sources said they have told the government to reduce the number of free ATM withdrawals enjoyed by bank customers. As of now, many banks allow their customers up to five free ATM transactions every month after which the customer has to pay a fee of Rs 20 per transaction and service tax. 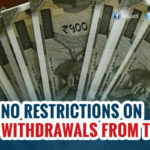 For non-customers, banks offer three free transactions in six metros Mumbai, New Delhi, Chennai, Kolkata, Bengaluru and Hyderabad and five free transactions in the remaining cities. 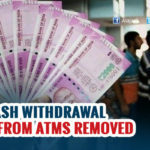 Following demonetization of old Rs500 and Rs 1,000 notes on 8 November, limits had been imposed on withdrawal of cash from banks as well as ATMs. The State Bank of India had suggested that the government should take measures to disincentive cash transactions.